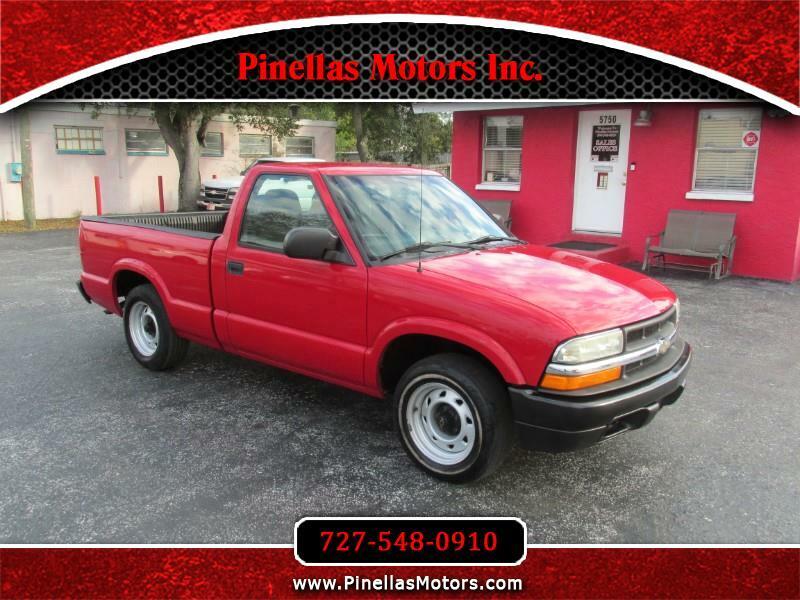 Used 2003 Chevrolet S10 Pickup 2WD for Sale in Pinellas Park FL 33781 Pinellas Motors Inc.
LOW MILES - DEPENDABLE - RELIABLE - CLEAN - This 2003 Chevrolet S10 Pickup Truck 4 cylinder is the perfect work truck for someone looking for something super reliable and very affordable. Plus with only 89k miles, this truck will last you years to come! Stop by today!